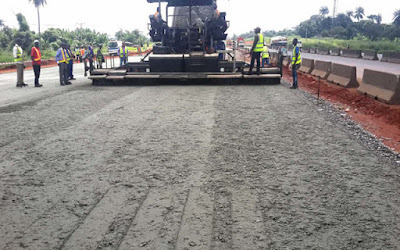 The two contractors, Julius Berger PLC and RCC engaged by the federal government to reconstruct the 167-kilometre Lagos/Ibadan Expressway have moved their equipment back to site to resume work. A lot of progress was made, and hopes were high among the road users that the traffic nightmares and frequent accidents experienced on the nation’s busiest highway would soon be a thing of the past before works came to a screeching halt after the change of government in May this year. The Lagos/Ibadan Express is billed to be completed by March 2017.